We hear it time and again with first time customers, “Wow! Nice shop! I had no idea you had so much inventory!” Great customer service is what keeps our customers coming back. It is important to us that you find what you need and satisfied when you leave. If we don’t have it in the shop, we can get it for you and soon. AJ’s Archery is family owned and operated. John, the owner, started AJ’s in 2001 as an addition to his Gun business that opened in 1980. John has been a hunting and sports enthusiast for over 40 years. His knowledge is invaluable to the successful operation of our business. What started out as a small corner in our shop quickly took over the entire building. We have a state of the art service center with 5 bow presses and have to ability to tune any bow or crossbow. We also have an in house gunsmith and an ultrasonic cleaner for all your firearm repair and cleaning needs. The remainder of the building is filled with firearms, crossbows, bows, accessories, tree/ladder stands, targets, clothing, muzzleloaders and much much more! Chris and Adam (along with John) are all certified bow technicians. They take great care with your equipment and ‘attention to detail’ could be our 2nd motto. Chris can customize any arrow to meet your needs. Allison heads up our sales department and is in charge of special orders. 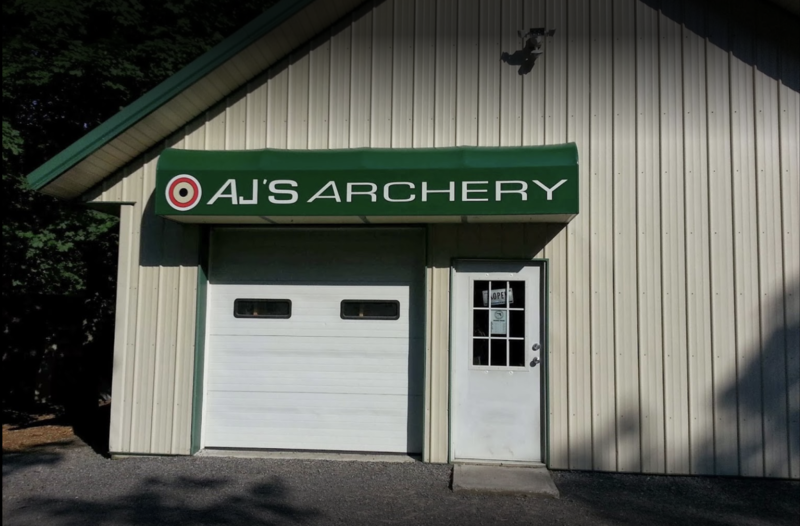 If for any reason you are not satisfied with your experience at AJ’s Archery please let us know immediately. It is very important to us that you are a satisfied customer!